Win a signed Mario Götze shirt with PES Club Manager! Today we celebrate the first birthday of PES Club Manager! And in doing so, thanks to our good friends at Konami, we are giving away a signed Mario Götze football shirt! 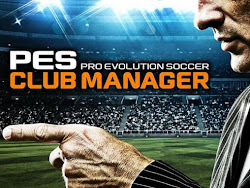 PES Club Manager allows users to create their ultimate dream team in a virtual world powered by the Pro Evolution Soccer Console Game Engine. With over 5,000 licensed players up for grabs, PES Club Manager has come a long way since its inception, and recently benefited from an exclusive UEFA Euro 2016 update. For a chance to win the signed jersey, you'll need to reply below confirming both your User ID and Club Name. The competition starts now and we will pick a winner, at random, on June 17th. You have until then to submit your entry. The winner will be contacted via Twitter so you'll need to follow us in order to claim your prize. Win a signed Götze shirt with PES CM!